August 12, 2017 marked International Youth Day – a global moment to recognize the potential of youth in advancing global peace. 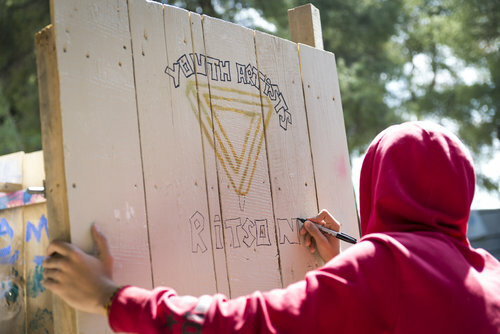 To celebrate, we were pleased to help youth at Ritsona refugee camp in mainland Greece launch the Ritsona Kingdom Journal, a youth-run magazine that's been months in the making. The Ritsona Kingdom Journal features artwork, writing and photography from youth participants aged 16-25 at our Youth Engagement Space (YES) in Ritsona. Together, this incredible body of work demonstrates the creativity, resilience and untapped potential of these inspiring young men and women. All opinions expressed in the Ritsona Kingdom Journal are those of the individual youth contributors and do not necessarily represent the views Lighthouse Relief. Click the buttons below to read press coverage of the Ritsona Kingdom Journal. Help us leverage the voices and stories of refugee youth. Click here to check out our digital exhibit of exclusive content from the Ritsona Kingdom Journal. Click here for more information about the making of the magazine and its inspiring young contributors. Click here to access our Ritsona Kingdom Journal social media toolkit to help you share the magazine with friends & family. In spring 2017, young people in Ritsona came to us with a bold proposal: to launch a publication that was proudly and unambiguously their own. 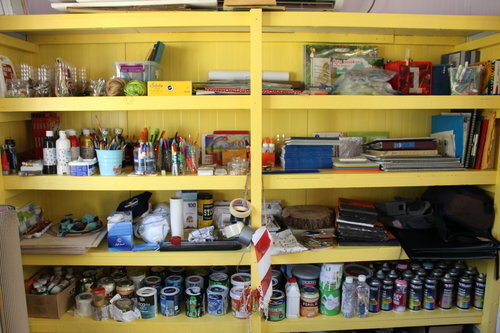 It all started with piles of artwork, writing and photographs that were accumulating in Lighthouse Relief's Youth Engagement Space (YES) in Ritsona camp. These were the products of several weeks of creative workshops that were regularly held in the space since early 2017. Through these activities, youth aged 16-25 had access to the resources and support they needed to develop individual and group art projects that allowed them to share their experiences and perspectives in a meaningful way. Some were skilled artists and writers that were grateful for the opportunity to refine their craft. Others were young people that were seeking an outlet for creative self-expression, who surprised even themselves with the quality of work they were able to produce. At first, their work was safely tucked away in private notebooks and sketchbooks, but there was a growing desire among youth to compile and share these creations. To that end, the Ritsona Kingdom Journal was born. Every creative decision around the development and dissemination of the Ritsona Kingdom Journal has been youth-driven. With support from Lighthouse Relief staff, youth skillfully maneuvered every stage of the publication's development: from content creation to graphic design and dissemination in camp. Through this, they demonstrated complete ownership of the project from start to finish. Even the name of the magazine was a reference to the "Ritsona Kingdom" that the youth cleverly coined for their current community. Today, the Ritsona Kingdom Journal has become a platform for youth to share their perspectives in their own voice, and in their own way. 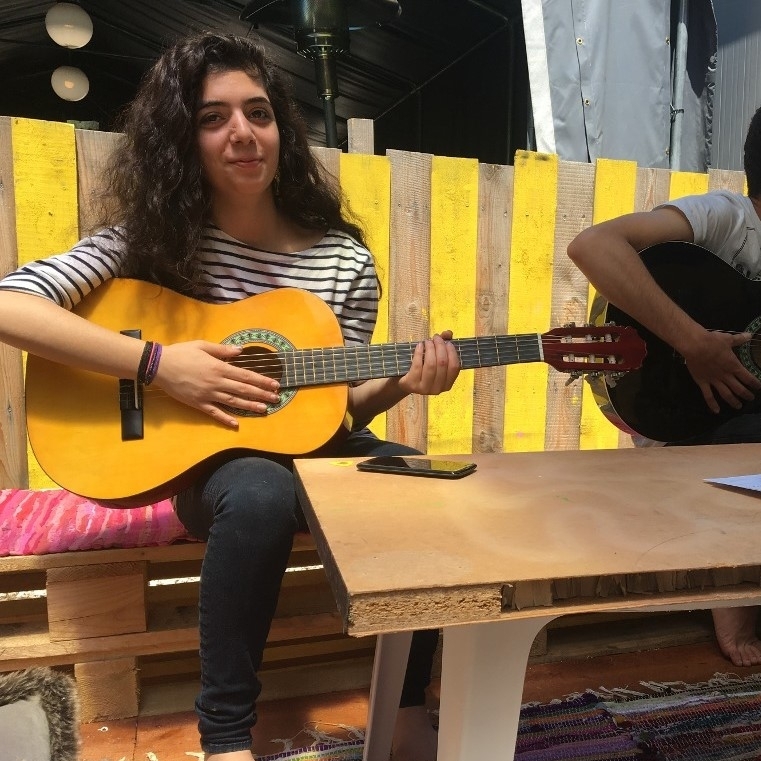 While the publication has been a much-loved opportunity for creative self-expression, it's also proven to be an important outlet to share youth perspectives on broader legal and political issues surrounding the European refugee situation. Current content includes everything from letters to global leaders, essays on displacement issues, photography on life in Ritsona and many, many, pieces of thoughtful and powerful artwork. Together, they show the tremendous strength and resilience of refugee youth, and their strong interest in taking a stand on issues that directly impact their lives. Above: Participants of Lighthouse Relief's Youth Engagement Space in Ritsona camp engage in an art workshop in the space. One of the main rules in the space is to respect everyone's artwork, and ask direct permission before opening someone else's sketchpad or notebook. This promotes a sense of creative integrity and intellectual property that is well-acknowledged in the space. Above: Staff attend the launch of the second edition of the RKJ. During the event, pages of the magazine were displayed in exhibit-style on the walls of YES. We're constantly inspired by the incredible young men and women behind the Ritsona Kingdom Journal. Here are just a few of them. 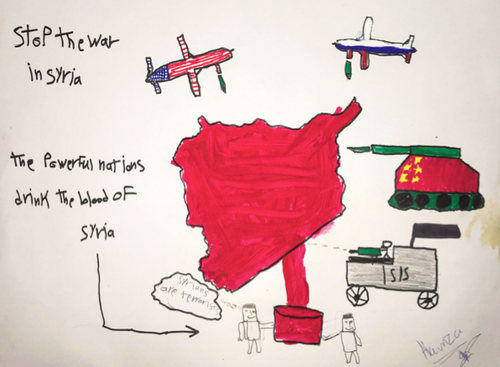 Hamza Almustafa, 16, from Salamiyah, has been in Ritsona for over a year. Hamza likes fishing and going to the gym, riding horses, playing the ukulele and writing. When he leaves he wants to learn German, go back to school, make new friends and live in a safe, nice house. Amina Rashid, 18, from Aleppo, has been in Ritsona for over a year and a half. Amina likes taking photos and would like to study medicine. She is going to live in Switzerland as part of the relocation programme. Farhad Rashid, 21, from Aleppo, has been in Ritsona for over a year and a half. Farhad likes writing and reading books. He is going to Switzerland with his family. When he gets there, he plans to finish his baccalaureate and would eventually like to become a technology engineer. Malak Othman, 18, from Aleppo, has been in Ritsona for 6 months and in Greece for over a year and a half. Malak likes to keep busy. She wants to study, and be given the opportunity to find her own way, change her mind, and be whomever she decides to be. Copy the text below to post to your personal Facebook page. Don't forget to tag Lighthouse Relief! This initiative is powered by Lighthouse Relief, an organization I support that provides long-term psychosocial support to vulnerable groups at Ritsona refugee camp, including women, children and youth. I hope you'll join us in celebrating the public launch of the Ritsona Kingdom Journal, and the incredible young people behind this effort! Copy and save the picture and text below to post to your personal Instagram account. I'm proud to help the young residents of Ritsona refugee camp publicly launch the Ritsona Kingdom Journal, a youth-run magazine that compiles their artwork, personal essays, and creative writing into one dynamic demonstration of the power of youth.